The stagecoach run from Muddy Creek to Holford should have been an easy one. But since one of the passengers is being hunted by a Mexican revolutionary colonel who was swindled in an arms deal, things are unlikely to be that simple…. Forced to abandon their coach, the travellers must experience many dangers before they reach their destination…and even then their safety is by no means guaranteed. Greg Mitchell brings together a fascinating group of people to play the central roles in this fast moving tale. His characters are easily identifiable with and you’ll soon be wondering if any of them are exactly who they say they are. Just which of the passengers is it that the self-styled Mexican colonel wants? Or is it the stage driver or his shotgun guard? Greg Mitchell creates suspicion superbly well on all these characters. There are plenty of well-written action sequences and descriptions of scenes are expertly drawn, making the reader feel like they are sharing the hardships of the author’s characters. I’ve only read one of Greg Mitchell’s books before and that left me wanting to read more of his books, and this, his tenth BHW, strengthens my desire to track down more of his work. 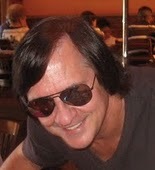 Greg Mitchell is a pseudonym used by Paddy Gallagher. Hard Road to Holford is officially released today, and if you’d like a copy I’d suggest you get your order in without delay, as BHW tend to sell out quickly. A stagecoach robbery and a train hold-up announce the sudden return of the elusive Presidio Kid. Hardly anything is known about the Kid and what triggered these events remains a mystery. In an isolated mountain cabin, Clugh Bendix is nursing a gun wound to the leg, vowing to find out who shot him and why. His journey takes him to the volatile Texas borderlands: right to the heart of the mystery of the Presidio Kid. For Bendix, the mystery becomes a battle and he must rely on his wits and his guns to survive. Long-buried secrets and an unexpected romance are revealed, but what will his fate be when the explosive showdown arrives? As far as I can tell this is the first BHW to carry the author name of Emmett Stone, so is this a new writer or a pseudonym for a previously published author? Whichever, this person knows how to snare his readers, hook them into his story from the opening scenes. Questions come fast, such as why has Bendix been shot? Once this is answered it only leads to more questions that ensure the reader keeps turning the pages. The book is presented in long chapters, seven to be exact. There are a lot of descriptive passages that set the scenes well. Stone writes in a clear and easy to read style that makes the book a pleasure to read. A couple of the questions asked are fairly easy to work out, such as who the Presidio Kid really is, but, just as you think you know how the story will end, Stone springs a neat twist to his tale. 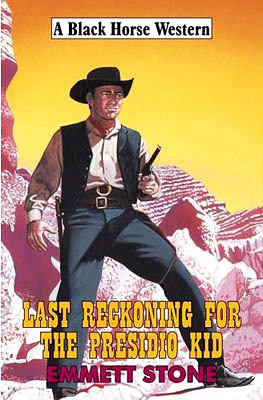 This story uses the age-old western theme of land grabbing as its basic plotline, but has a fresh approach to that story, in fact pushes this plot into the background as the identity of the Presidio Kid, and why he is doing what he is, becomes the main focus of the book. Overall the Last Reckoning for the Presidio Kid proved to be an entertaining read that has a number of surprises waiting for the reader. The book is officially released tomorrow but is on sale now. Everyone was dead. Indian raiders massacred the entire wagon train. Only seven-year-old Hardy Collins and three-year-old Betty Sue Powell managed to survive. With a knife, a horse, and the survival lessons his father taught him, Hardy must face the challenges of the open prairie. Using ingenuity and common sense, he builds shelters, searchers out water, and forages for food. But as he struggles to keep them alive, he realizes that their survival will depend on his ability to go beyond what his father was able to teach him. Hardy bravely presses on, fighting off the temptation to give up, until a howling blizzard and a pack of hungry wolves force him to make decisions that no seven-year-old boy should ever have to make. I picked this book to read as the blurb above indicated that the hero would be different to those I usually read about. Here we have a young kid instead of the fast-shooting drifter, gunslinger or lawman etc. My one fear was that L’Amour would make the boy too much like a young man, give him abilities that no child of his age would have. 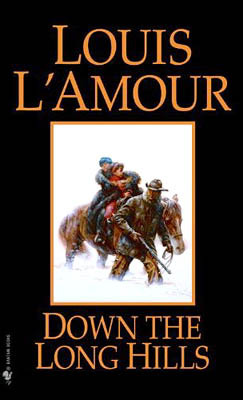 But I needn’t have worried; L’Amour does an excellent job in his characterization of Hardy Collins and Betty Sue Powell. They come across as children, children full of belief that Hardy’s father will find, and save, them. There are some exciting action scenes too, although one of them stretched my belief a little, that of a fight between a horse and a grizzly, but still it was very entertaining and that’s what is asked from fiction right? If you agree with my last comment then you’ll also be able to overlook the other things that had me asking questions, such as how Hardy made a very good bow and arrows without any tools to speak of? Forgetting the eye-brow raising moments, this is an easy to read book that offers a straightforward storyline that has a predictable outcome but still proves to be a very enjoyable read. In fact this book could be a perfect way to introduce young readers to westerns due to the fact that the heroes are children too. It was supposed to be a simple bank robbery until a nervous member of Wolf Cotton’s gang shot the bank manager, thereby rousing half the people of Suta Springs. Wolf and Ab Cooper were killed during the getaway while Curtis Jordan managed to disappear into the back streets. But Drew Hudson, the trigger-happy gang’s newest member, got away clean – and with the loot! When Drew doesn’t bring the money he owes the others to their pre-arranged meeting-point, an enraged Curtis vows to find and kill him. Meanwhile, Deputy Danny Ridge is more interested in discovering the identity of the person who gave Wolf Cotton the key to the bank’s back door. Who will get their comeuppance first? One thing’s for sure: the chase is on! Having read John Davage’s first BHW, Unsigned Avenger, and really enjoying it I was looking forward to this, his second book. Would it be as good as that first one? John Davage writes in an easy to read style, his chapters being short – only a couple of pages long, as each one follows the trail of a different character. The book starts during the bank raid, giving the story an action packed opening that leads to a number of questions for Suta Springs lawmen. These puzzles being perfect hooks to ensure I kept reading. Also the relationships between various characters provide some great possibilities as to how these friendships might turn out, again keeping me reading to see if I’d guessed right. 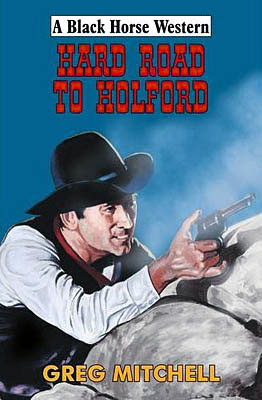 The book moves forwards at tremendous pace as the surviving members of the gang escape with deputy Ridge in pursuit. This chase is further complicated by a fourth person joining the hunt. Three of these people are intent on killing the others. Along the way other characters become aware of who the outlaws are and attempt to get the money for themselves anyway they can, such as blackmail. Eventually the four main players come together for an exciting final tense shootout. So, to answer my question as to whether I’d enjoy this book as much as the first one, I have to say yes, definitely. And once more I find myself eagerly looking forward to John Davage’s next. Killer Chase is officially released at the end of this month, but is available now from some Internet bookstores. In a remote forested valley, six miners, led by the once famous magician Will Hayes, strike pay dirt. As it turns out, a fortune in golden nuggets is hidden throughout the length of the dense landscape, waiting to be gathered up and taken back to civilization. A small isolated tribe of natives are the miners’ only obstacle but Hayes has a dastardly plan…. All goes well for Hayes and his ruthless followers until they make the mistake of killing a child and casting her body into the river. What none of the miners realize is that the body will be found by the infamous bounty hunter Iron Eyes. He vows to discover who killed the little girl and he won’t stop until he sees justice done…. The above blurb, taken from the back of the book, is a little misleading, as it implies most of the story will be about Iron Eyes’ hunt for the killers of the little girl, in fact this doesn’t happen until about thirty pages from the end. In the earlier parts of the book the author explains the events that lead up to the discovery of the girls body. Rory Black moves from one set of characters to another chapter by chapter as he brings all these people along their various trails to where they will meet for a final, spectacular, showdown. We follow Hayes and his gang, witness how they use magic to fool the natives into believing they are gods, although not all the Indians believe this to be so. Iron Eyes is tracking a group of outlaws of which two escape and leave Iron Eyes blind. It’s when Iron Eyes recovers enough to follow these two fleeing outlaws that their trail leads to the dead girl. There’s plenty of action, often fairly graphic in description, and the story moves along at a great pace. There are a couple of sequences that stretch belief a little, but nevertheless make for entertaining reading. The finish of the book doesn’t seem to end that well for Iron Eyes, and left me wanting to know more, so lets hope it isn’t that long before another Iron Eyes book hits the shelves. 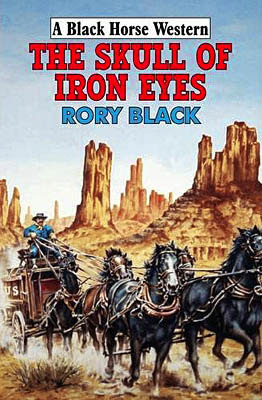 The Skull of Iron Eyes is the fourteenth book in the series, and is officially released at the end of this month, although it should be available from the usual Internet sources now. It isn’t long before the always vigilant Kane begins to suspect there’s more than just a wolf prowling around outside the sanatorium. Persuading those in charge to allow him to hunt the wolf lets him investigate other suspicious activities too. Like the previous novels in the series this is a short book, coming in at 102 pages, so it proves to be a quick read, not just due to its length but also because Louis Masterson (Kjell Hallbing) writes in a very readable style and his stories draw the reader into the plot effortlessly. The books do contain lots of action but I’d say their real strength lies in character study, particularly that of Kane where we see him emotionally scarred time and time again, and in later books see how they affect him. This book is one of the few times where Kane doesn’t add to his torments. If you’re looking for a quick, entertaining, read then this book is worth considering. For those who follow Kane’s adventures then this is one not to miss as it continues, and develops, his relationship with Gwen Arling. The mountains of western Montana, 1861 – where only the brave dare venture, and few who do ever come out again. Petey Evans is a great character, one that manages to pull the wool over Fargo’s eyes, something not many people achieve. Once the Trailsman realizes just what Petey’s real objective is, he sets out to save the boy from certain death. This involves the Trailsman putting his own life in danger, not least when he manages to talk his way into becoming a member of a gang of killers lead by the savage Lazarus Wolfe, the outlaw leader making for a terrific adversary for Fargo. The story is told in an ever-increasing pace that is filled with action, some of which comes suddenly and brutally. Fargo is pitched against impressive odds, and you have to wonder how he can possibly beat them whilst keeping Petey alive. And if trying to save one person isn’t enough of a challenge, Fargo soon finds he has a second person to rescue. 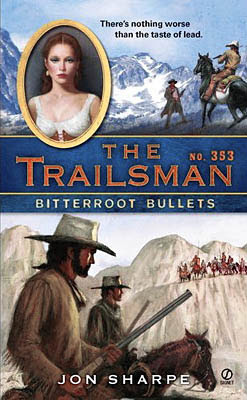 The author – in this case David Robbins writing as Jon Sharpe – fills this book with memorable characters, each having an important role to play in the outcome, even people the Trailsman meets in passing, such as Stricklin, who you might think has played his part once he and Fargo go their separate ways. Bitterroot Bullets proves to be another excellent entry into this long running series. But the longer Will stays in Redemption, the more he gets the feeling that there’s something wrong. A series of unexplained killings plagues the town and has the local shopkeepers fearing for their lives. It’s up to Bill to figure out what’s going on before more people, including his beloved Eden, get caught in the cross fire. This is the first in a new series, and, going by the strength of this book, I hope it has a long run. James Reasoner has created an engaging hero in Bill Harvey, a young man who will go through some changes during the course of this story. Events take place that will see a change in his profession and his life in general. Another great character is Eden Monroe, and seeing her and Bill’s relationship develop is one of the highlights of this book. There is plenty of action, and we witness Bill being drawn into solving the mystery of the killings when those who are helping him recover are threaten. There’s some superbly drawn bad guys, in particular Zach Norris. As expected James Reasoner writes a fast moving and gripping tale, that’s beautifully paced, building in tension to its exciting final showdown. 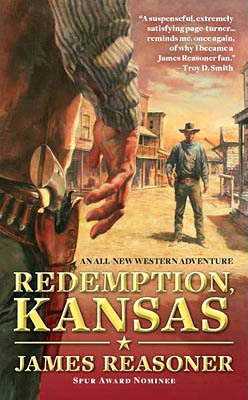 Redemption, Kansas once again strengthens James Reasoner’s reputation as being one of the best of the authors writing westerns today. If you’ve never read any of his work before then this excellent book is the perfect place to start. For fans of his writing, make sure you don’t miss this one, as I’m sure, like me, it’ll leave you eager for the next in the series. Clay Shannon has decided he’s done carrying a star. All he wants is the peace and quiet of a small ranch he can call his own. But then the government names him a U.S. Marshal. 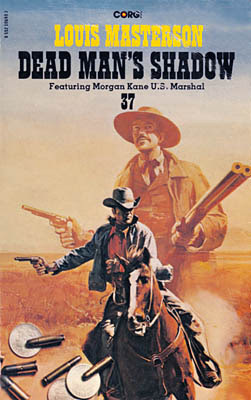 Suddenly he finds himself mixed up with a mysterious gambler who has the look of a gunfighter and a man named “King” Kruger, who’s determined to grab land any way he can. From backshooters to bushwhackers, cattle-rustling to murder, Shannon may find he’s resting in peace much sooner than he planned. 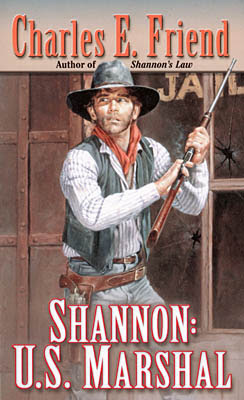 As you can see above, the Shannon series was originally written for Avalon – to date there are seven of them – and this is the third in the series. Leisure reprinted the first one, Shannon’s Law, and my review can be found here. Quite why they missed out the second book I haven’t a clue, shame really as Shannon: U.S. Marshal does make mention of previous events in Clay Shannon’s life, some of which were, presumably, told of in book two. 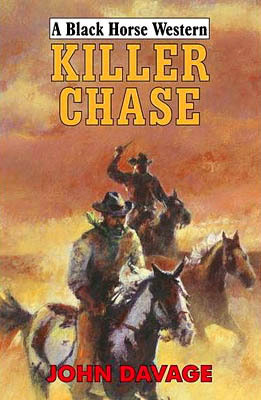 Charles E. Friend writes in a very easy to read style, fleshing his characters out well, although he keeps an air of mystery about the gambler, Kane, which serves as an excellent method to keep the reader hooked to the story. There’s also the question of whether Shannon and Charlotte Alvarez will get together by the end – assuming she’s still alive by then. The reason I say that, is that the author is not afraid to kill off some of his main characters. The story moves forward at great speed, Shannon having to face attempts on his life and the struggle to get the people of the town to stand against Kruger and his hired guns. If you want a book with lots of gun-action, then this could just be the book for you, as the final part of the story is jam-packed with it, especially when Kruger’s men attack the Rancho Alvarez. Overall this book is an entertaining, quick, read that makes me wish Leisure had published more of them, but then again I could get the books from Avalon easily enough. Another new film is The Conspirator, a film based on fact, following the trial of Mary Surratt who was accused of being one of those who was accused of conspiring with John Wilkes Booth to assassinate President Lincoln. The film directed by Robert Redford, stars Robin Wright, James MacEvoy, Rachel Evan Wood and Kevin Kline. April 15th sees the release of a new western, Meek's Cutoff. This film is about a wagon train lost in the Oregon desert and is based on historical fact. It stars Michelle Williams and Paul Dano. Born to settler parents. Raised an Indian. He was Long Rider. A man caught between the blood and hate of his two peoples … He lived by his own code in a land where death came quick and vengeance could last a lifetime. Long Rider gets more than he bargained for when he hires on to a cattle drive – raging stampedes, treacherous quicksand, and worse. 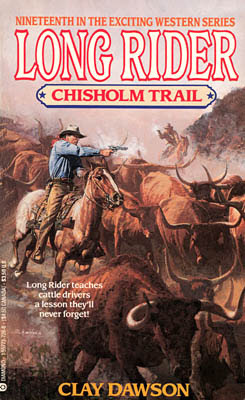 Then the trail boss, the despicable Cass Dillworth, decides to herd the stock onto Chickasaw land. The unruly cowboys wreak havoc amongst the Chickasaw – until the Lighthorsemen, the Chickasaw police force, decide to fight back. Now Long Rider’s taking aim at the men who hired him – and dealing death to the dirtiest players. Having Gabe Conrad, Long Rider, join up with Dillworth and his cowboys is really only the backbone of this story. It’s the glue that joins all the other elements of the tale together, for the book moves from one unrelated incident to another throughout. In fact Conrad leaves the cowboys to ride with the Lighthorsemen but their duties keep bringing them back to face Dillworth. In fact it’s the confrontations with Dillworth, who has moved his herd onto Chickasaw land that provides some of the most entertaining twists and turns to the plot. Each time the Lighthorsemen think they can move Dillworth on by enforcing one law or another, the trail boss has a legal answer that allows him to stay. How this will all be resolved makes for some fascinating reading. One of the other set pieces, that really hasn’t anything to do with the cattle problem, is something I haven’t read about that often in westerns, and that is sport. Here, it’s a game played between to rival teams of Indians called toli. With Gabe having to play for his friend’s side, as they are short of players. I guess it’ll come as no surprise as to who scores the winning point. Overall this is not a bad entry into this series – which ran for twenty-seven books – but I think I’d have liked the main plot about Dillworth to have taken up more of the story. The latest issue of Black Horse Extra is now online here. As usual it contains a great mix of articles, including a look at the costs of producing ebooks. Chap O'Keefe writes about creating a believable series character. 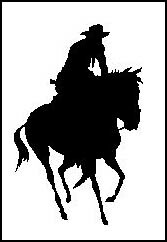 Hoofprints, as usual, provides a number of short, entertaining, articles covering a variety of western topics. Gary Dobbs ponders the revival of the western movie. David Whitehead and Alfred Wallon talk about their second book collaboration. Author David Robbins has given his blog, 'The Write Life', an overhaul, and is adding regular new posts that look at books and films, many of which are about westerns. Near the end of 2008 Jove published two Longarm Doubles: Deputy US Marshal, and Longarm of the Law. The first of which contained the first two Longarm books, Longarm, and Longarm on the Border, the second following this pattern with book three, Longarm and the Avenging Angels, and book four, Longarm and the Wendigo. 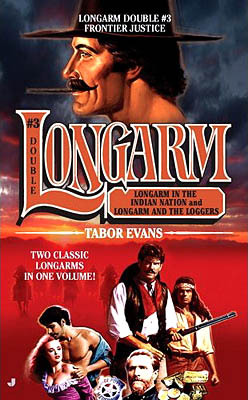 This May sees the publication of the third Longarm Double: Frontier Fury. This contains original books number five: Longarm in the Indian Nations, and book number six: Longarm and the Loggers. Finally an apology to those of you that use Internet Explorer. It's been brought to my attention that the post below this one, and a similar post I did at the end of the previous month, don't display correctly in IE. I'm not sure why IE shows all the book covers in a single line instead of in rows of threes, as seen by people who use Firefox or Google Chrome. I am trying to correct this but at the moment am drawing a blank. If anyone has any ideas please get in touch through the email address you can find in the 'About Me' section.